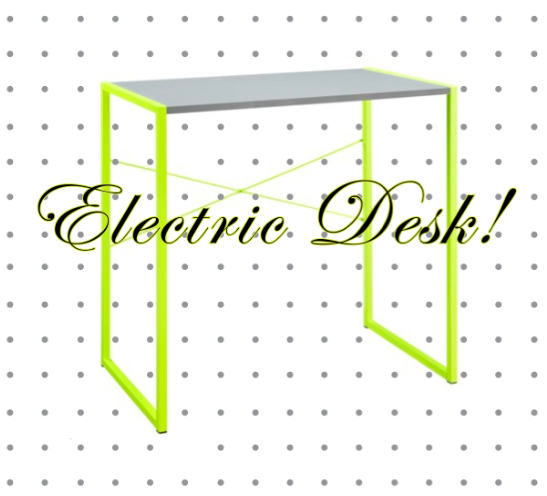 Find of the Week: Electric Desk! You guys. This desk is $40. It’s from Target, which I will admit has less than heirloom quality furniture, but it is what it is: a trendy $40 desk that looks fabulous. So who cares if it doesn’t last through two more Olympics? ← Orange and Periwinkle. Together.